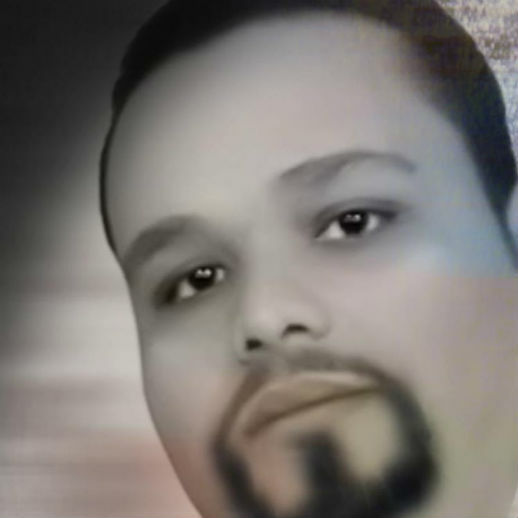 An Egyptian Christian, jailed for 38 months on unsubstantiated charges, has had his expected acquittal delayed again to February next year, his lawyer said. Bishoy Garas was sentenced to six years in prison from September 2012 for offending Islam, the then Egyptian President Morsi, and a Muslim sheikh’s sister. However, the charges, relating to Facebook posts, were found on a fake Facebook page opened in his name. He posted warnings on his own Facebook page about the fake account and alerted cyber police. Still, he was sentenced despite new claims by his friends of a named hacker, as well as cyber investigation reports attesting to his innocence. Garas was due to have a ruling in favour of his acquittal on 14 Nov. But the judge put it off again, owing to “the issue’s sensitivity,” the lawyer Magdy Farouk Saeed said. “The judge adjourned the case till February 13th, 2016. He does not wish to issue his ruling at this time in the full presence of the court,” he added. “This is due to the sensitivity of the issue,” Saeed said, hinting that a “discreet” hearing with fewer attendees may be more appropriate. Garas’s lawyer, however, was still confident about his client’s upcoming acquittal. “The judge will rule in Bishoy’s favour. It is as good as done,” Saeed said, noting that his client was allowed to stand outside the dock during the hearing. Garas was also not subject to any further questioning by the judge, he explained. On 25 July, Cairo’s senior Court of Cassation had ruled against the six-year prison sentence earlier meted out to the Copt. It took Garas until 9 Oct., however, to walk free, due to “intransigence by the prosecution, and prison authorities dragging their feet”, his lawyer said. A hearing had been first set by the Court of Cassation for 12 Sept. On the day, Garas was unable to appear. “Bishoy was [then] still being held in the New Menya Prison. The prosecution, due to hardline Islamic tendencies among its members, kept dragging its feet,” Saeed told World Watch Monitor last week. While Garas may have finally been freed from prison, he is still not free to go home. Garas’s father, Kameel, told World Watch Monitor his son was “advised” not to go home for fear for his life from possible attacks by Islamists. On Friday 9 Oct., Garas was released from the Tima police station in Sohag, Upper Egypt, having had the usual “interview” with the National Security Directorate first. “They advised us that my son should not head back home for fear for his life from possible attacks by radical Muslims,” his father said. “We were told to wait for things to calm down after the elections have concluded,” he added, referring to the country’s first round of parliamentary polls which saw a massive defeat for the hardline Salafist Al-Nur party. However, a second round of voting is due this Sunday, 22 November. For now, things are “normal and stable”, Kameel Garas said, adding that the rest of the family can now go about business as usual. This contrasts sharply with events at the beginning of the ordeal. Back in 2012, the family had grounds to fear for their safety amid angry mobs swarming court hearings and vows to kill Garas and kidnap members of the family. According to Kameel Garas, his son was aghast by insults he had supposedly written on his Facebook page. “Surprised, he quickly opened his laptop, and found another fake Facebook account with the same data – his name, photo, everything. There were bad pictures and insults on this fake account,” the father said. The primary school teacher immediately posted warnings on his Facebook page about this other fake account. He also called the cyber police and told them what had happened, asking them to investigate. When Garas was summoned the next day to the Tima police station, he assumed the chief detective there wanted to investigate it. But the teacher arrived with his laptop, to be confronted by Sheikh Mohammed Safwat Tammam, from the ultra-conservative Salafist movement within Sunni Islam. 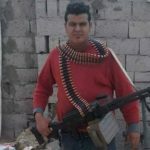 The cleric had filed a formal complaint against the then 24-year-old Copt, accusing him of insulting Tammam’s sister, the then Muslim Brotherhood President Morsi, and the Islamic religion, on his Facebook page. Despite Garas’s remonstrations, the young teacher was taken the next day to appear in court before the Tima prosecutor; a large mob of angry Muslims gathered to protest against him. The local prosecutor was convinced of Garas’s innocence there and then, the father recalled. But to calm the crowds, Garas was remanded for four days’ custody anyway. By then, two of Garas’s friends had identified and confronted the culprit who had created the fake Facebook account, a young Coptic acquaintance identified only as “Michael”. 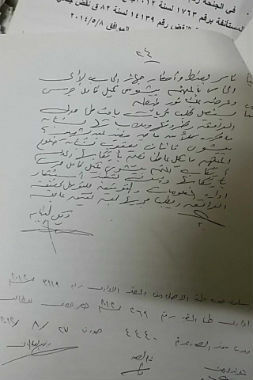 After recording “Michael”‘s confession on a CD disk, the two went with Garas’s father on 2 August to testify to a prosecutor in nearby Tahra, but there Garas’s detention was extended for another 15 days. For the next month, hearings on the case were adjourned, lawyers failed to appear and court-ordered evidence was late in arriving. Several times large protests erupted outside the courtroom, as angry Salafists and Muslim Brotherhood supporters shouted death threats against the Copt. On 18 September, 2012, a presiding Judge of Tima Misdemeanour Court convicted Garas on three counts of insult and blasphemy, sentencing him to a total of six years in prison. An appeal hearing before another judge of the Sohag Misdemeanour Court on 27 September upheld the ruling. 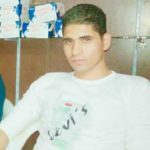 The teacher was promptly fired from his job, and then insulted and beaten by Muslim prisoners during his three months in the Sohag prison, his father recounted. But now in view of the expected acquittal, what can Garas expect by way of compensation? “After a defendant is acquitted, one can hope for a mere five pounds’ sum (64 US cents) in damages for each day spent in jail. To get that it’s a tortuous process which can take up to three years of litigation. Even then, the judge may decide to award no damages, or reduced remuneration,” Saeed added. But what matters most now for Saeed is to clear his client’s name. “This time the defendant appears before a court which believes in his innocence, and which has evidence before it to back this belief,” Saeed said. The Court of Cassation in Cairo is a safer venue, being more removed from “pressures by angry local crowds of Salafist hardliners”, the lawyer added, expressing more confidence in the higher court judges’ proficiency and integrity. When asked about his trial, Garas had this to say: “Three years and two months in jail: two months held at the police station in Tima, two months in protective custody in Qina, one year and six months in the Wadi el-Gedid prison, and two years and two months in Menya [prison]. Yet I had done no wrong, no crime! “But thank God in all things. We are subject to the will of Him who works all things together for good,” Garas told World Watch Monitor. “Despite the dangerous charges levelled against me, I could see God’s hand throughout. Even fellow inmates in both the Wadi-el-Gedid and Menya prisons were kind to me. They could see that I was being unjustly treated,” he added. It wasn’t all a walk in the park for him, though. Recalling how after his release he briefly made a secret visit to his family, Garas said: “I went back home at night. I spent one day at home with mum and dad. The next day at dawn, while it was still dark, I was off again”. Once he has his innocence formally pronounced, Garas will have to sue in the Administrative Court to be able to regain his job – a process which could consume three more months, he said. But the family is taking no chances. “Even after an expected acquittal, we’re not taking him back home just yet. For his safety, we are arranging alternative accommodation” Kameel Garas said. “We are asking everyone to lift Bishoy in prayer!” he added.